More than 40 years ago, David Price, a member of the Royal Philharmonic Orchestra and violin teacher at both Dulwich College and Dulwich Prep London, thought that it would be nice to encourage his pupils to play with others during the holidays to gain some orchestral experience. 120+ courses later, DYO continues to flourish, meeting every holiday for five mornings of rehearsals in one of the local schools. Ranging from seven to eighteen in age, and from piccolo to double bass, musicians are coached by a team of expert teachers and professional players. They are coached to a high standard in a wide variety of musical styles: recent performances included music by Mozart, Dvorak, Delibes, Holst and the music to ‘Lord of the Rings’! The final concert is a showcase of the different groups – the String Ensemble for younger players; the Wind Band, which of course includes brass players and percussionists as well as wind players of every variety; the Senior Orchestra for the more advanced players, which fluctuates from chamber orchestra to symphony orchestra in size; and a final item by the ‘Great Orchestra’, in the hallowed British tradition of massed performance in which all participate! For many Dulwich families, DYO has become a popular holiday activity, the courses being short and intensive - mornings only - enabling other commitments or relaxation for the rest of the day. It is for many a ‘first orchestral experience’ although high standards are constantly sought and achieved, and for the older, more experienced, the repertoire is more demanding, with solo or concerto opportunities arising. Over the years excerpts from major concertos by Grieg, Bruch and Elgar have been presented, but interesting unusual repertoire is also chosen, such as the Moscheles Concertino for Flute and Oboe. 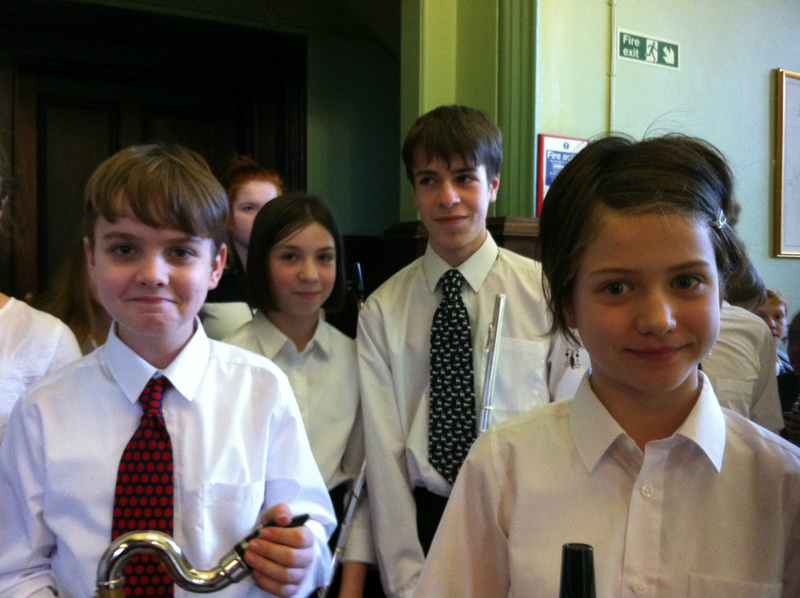 Many, many young musicians have ‘cut their teeth’ at DYO; for some it is simply a part of the kaleidoscope of Dulwich life, hopefully giving them a long lasting passion for musical activity (and London has wonderful opportunities for the amateur musician given a reasonable level of competence!) but for others it has been the start of a very serious interest – one young lady who went on to the National Youth Orchestra and Cambridge University said ‘You know it really was DYO that woke me up, musically speaking’, and many former members have gone on through music colleges or university to successful careers in music.